So this time, I’m writing to invite you all to the opening ceremony of One Hood Media Academy. Please take the time to read abou the program and what is offered. If you know anyone who has a child in Pittsburgh who fits the criteria, please email us. If you would like us to present this program at your school or institution, please email us. 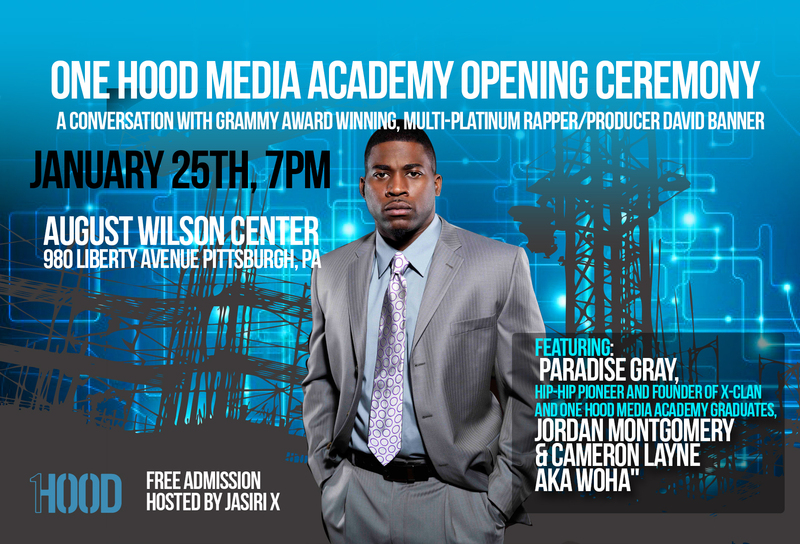 On January 25, 2013, the opening ceremony will be held at the August Wilson Center for African American Culture on January 25, 2013 at 7 p.m. with special guest, Grammy award winning, multi-platinum artist David Banner. A Conversation with David Banner will include an in depth discussion with David Banner regarding the Black male image in Hip Hop, his career and current activities, as well as current state of Hip Hop. The ceremony will also feature a performance by One Hood Media Academy graduates Jordan Montgomery and Cameron Layne. 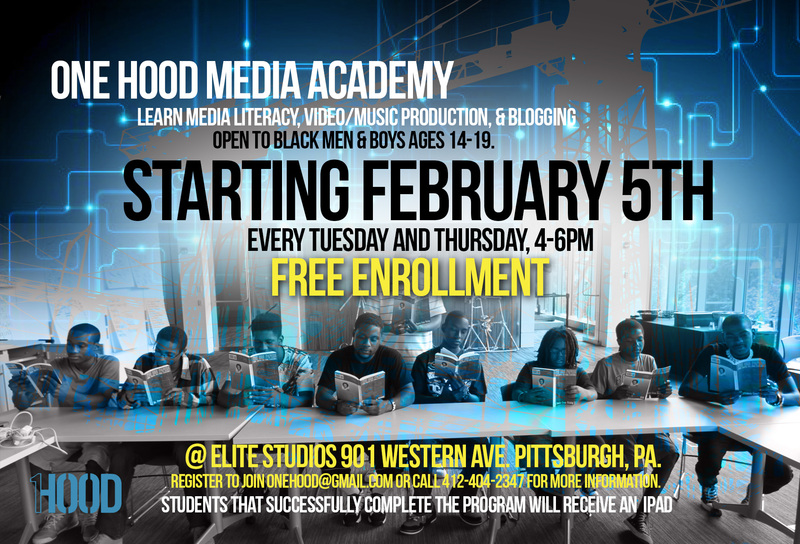 One Hood Media Academy, established by Jasiri X and Paradise “The Arkitech” Gray, in conjunction with August Wilson Center for African American Culture and a generous donation provided by the Heinz Endowments, is the tool to help African American young men critically analyze media messages, broaden their experience of media, and develop the creative skills needed in producing their own media. 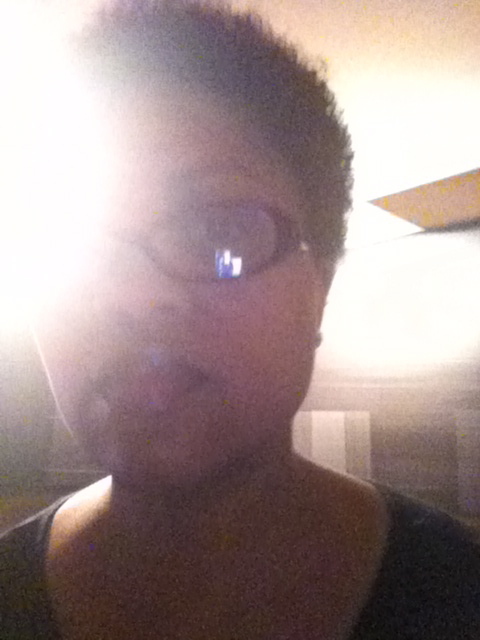 The mission is to improve self-image, dispel stereotypes, and provide a positive forum of self-expression. The program is offered to 25 young African-American men, ages 13-19. The course will include, though not limited to, the art of blogging, video production, and social media. Applications for entry are now being accepted until February 1, 2013. The Academy will be held at the Elite Studios, 901 Western Avenue, Pittsburgh, PA. If you need to know more comment below! Thanks for reading and I hope to see you there! I choose the classes that I did this semester to fulfill the requirements of my major, but it turns out Allah had a completely different plan. I NEED the knowledge the classes provide for the plans that we have made for our family…which in my opinion trumps for my major. Not only is the knowledge needed, but they are fun and are fulfilling a artistic urge. I’ll be doing some film and production work, as well as some photoshop stuff…I also took a business management course and I’m acting CEO of The Metropolitan Museum of Modern Art! I’m kinda excited! What with not knowing school started and all, I’ve been a little behind and I haven’t had time to do much painting. Mostly, because I’m working on sewing and blogging. 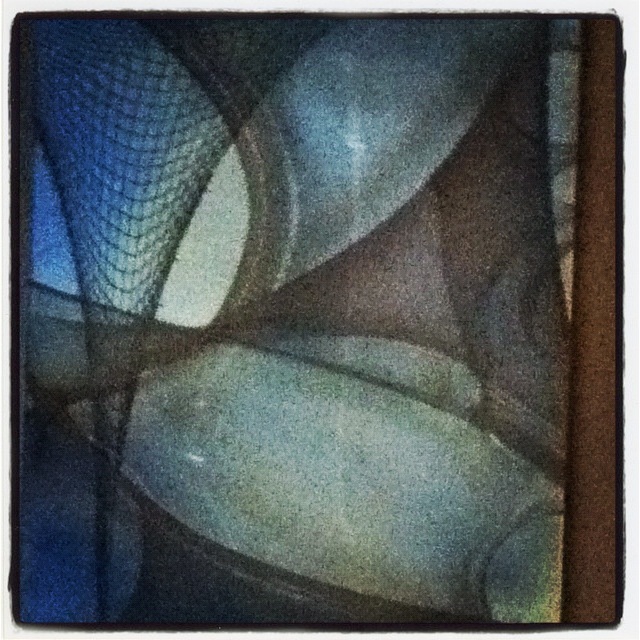 Though I do have some new (painting) pieces in mind to add to my fishnet collection…My fishnet collection is me exploring the feelings I have and what I do when my husband is out of town. The simplest way to explain it is I am extremely lonely and I buy lingerie. So, in efforts to avoid the impropriety of stretching thongs across a canvas, I created something with fishnets, stocking, and spray paint (one of which you see in picture 1). This process opened up a part of me that I didn’t even know was there and helped me to cope. Art is truly healing.